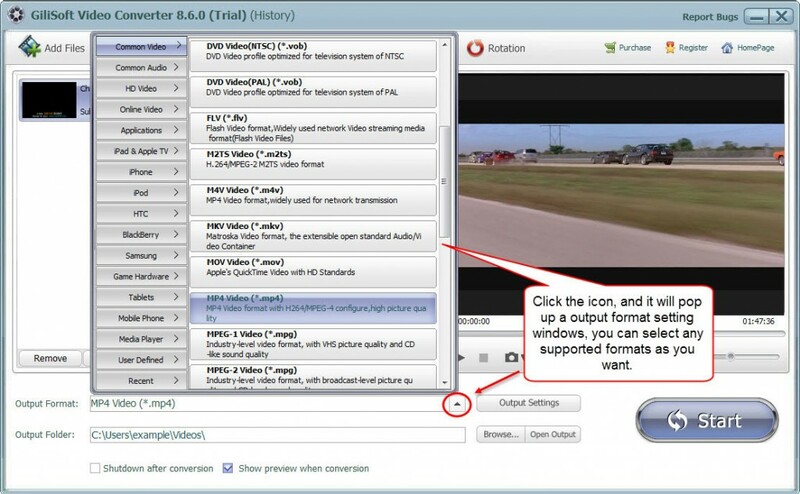 If you are looking for a video converter to convert mov to mp4, this website will help you a lot. Gilisoft video converter is quite simple and without quality lossness, just follow the steps below shows, you can complete the conversion in the fastest way! Gilisoft video converter is an ideal converter with high speed and supports all most popular video formats, Detials on more supported formats. 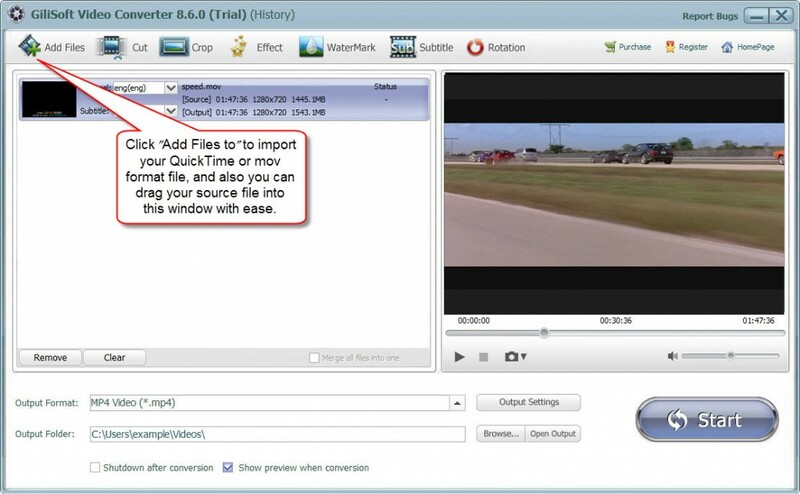 Run the Gilisoft video converter, click on the “Add files” button on the left top of the interface to add the MOV format files you want to convert, you can also simple drag and drop your MOV format source files into main screen of the video converter. Before the conversion, you can edit the unsatisfied video by clicking the buttons on the top of the interface such as video playing effect (brightness, constract, and saturation), video length and dimension. If you only want to convert your MOV file to MP4 formats, just keep the output format as default, Besides that, video converter provides you with multiple output formats options, you can choose and set your expected output format.